The Frank Slide Interpretive Centre is a small regional museum situated at the base of Turtle Mountain. 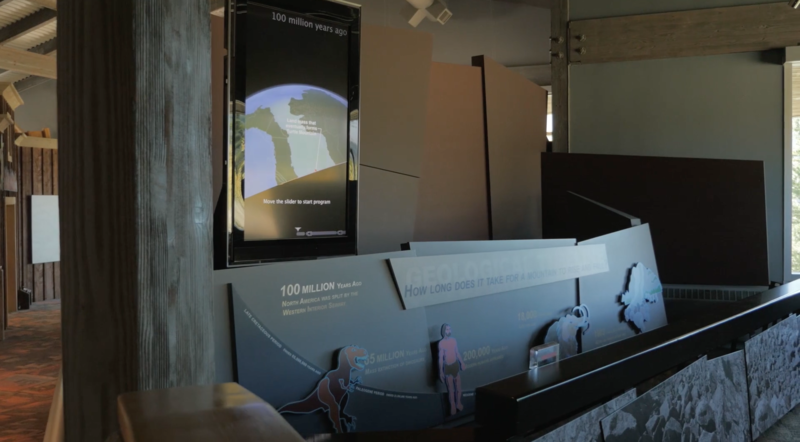 EDM created an interactive, mechanical timeline that depicts the geological formation and ultimate partial collapse of the mountain. Canada’s deadliest rockslide occurred in the early morning hours of April 29th, 1903, when 82 million tonnes of rock fell from the summit of Turtle Mountain into the Crowsnest River valley below. The Frank Slide Interpretive Centre is a small regional museum situated at the base of Turtle Mountain. 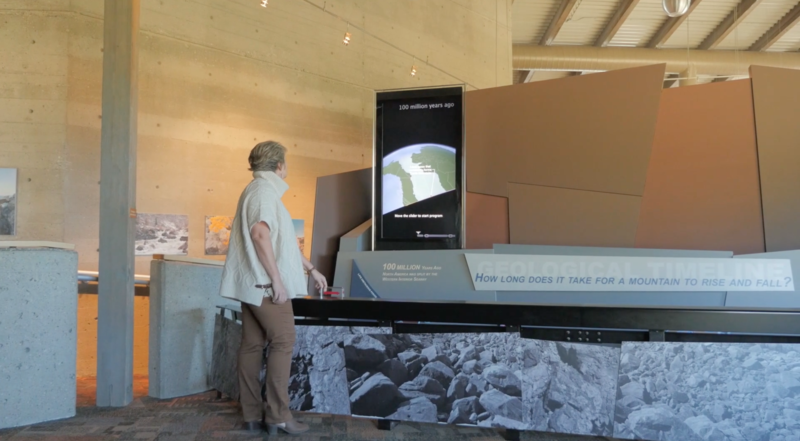 To tell the story of ‘why the mountain fell’, EDM created an engaging, feature interactive for the Centre. It depicts the geological formation and ultimate partial collapse of the mountain—a process 100 million years in the making. 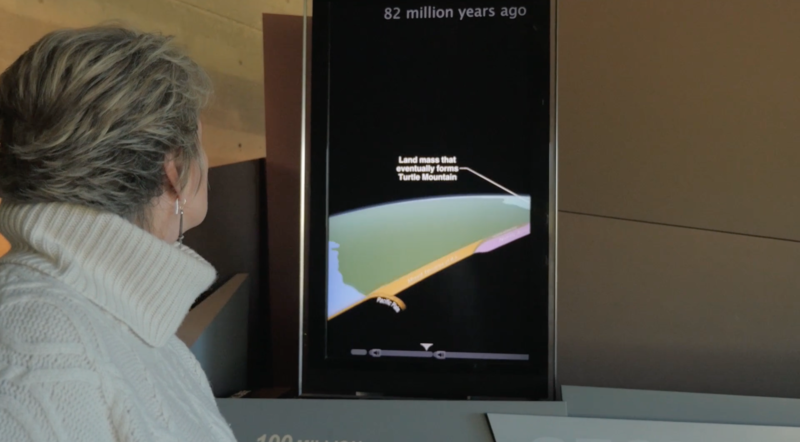 As the visitor moves an acrylic slider along a graphic timeline, a large moving screen mirrors the slider and acts as a ‘portal’ that pans across a high-resolution landscape revealing audio commentary, dynamic cross-sections and animations that culminate in the moment in time the mountain fell. The robust system has been in continuous operation since 2008. If you’d like to know more about this project, please contact us for more information.